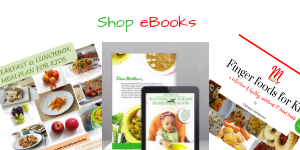 Nigerian yam can be made in a variety of ways for the kids, as well as babies too. 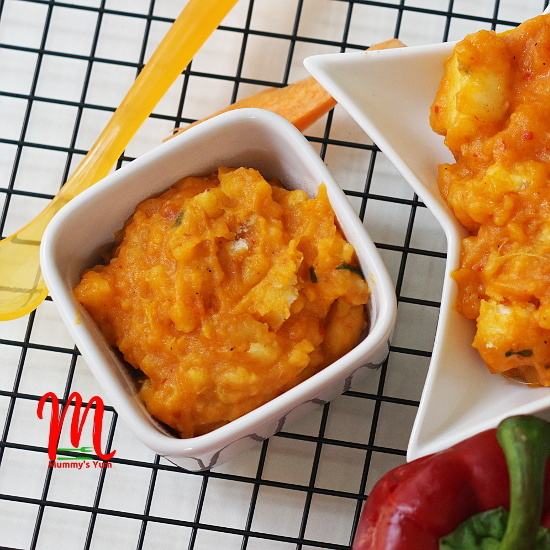 This yam pottage (or porridge…however you like to call it is fine) and mash is another addition to your other yam recipes that you can find by clicking here. It is made with just carrot and bell pepper instead of palm oil or tomatoes, as my personal twist to it. This yummylicious meal can be adapted to suit babies from 8 months upwards by mashing it up well as you can see in the picture above. It is another nutritious way of adding vegetables to your picky eaters meal, while it is a suitable meal for the whole family too. Steam carrots and pepper for about 5 minutes with a little water (about a ¼ cup). This is to make it easy to blend well in the blender otherwise you can skip this step if you have a powerful blender or food processor. Meanwhile peel and cut yam cubes and put in another pot, add water and put to boil. Blend the carrots and pepper, together with the ginger and onions to a puree. Put a pan on the cooker and add the vegetable oil. Once heated, add the blended carrot mix and fry for about 2 minutes. Add the curry, thyme and flaked fish, then mix together. Allow to simmer and set down. Check if the yam is cooked by piercing with a fork to ensure it is soft all through. Drain the water from the yam into another bowl and set aside. Scoop the carrot sauce into the yam and mix together with a masher or your wooden spoon, mashing some of the yam to get a porridge consistency. Add some of the water drained from the yam to it if it is too thick until you get the desired consistency. **For babies, you can completely mash all the yam or leave some lumpy chunks for 9 months old up. Join other mums to interact on our Facebook and Instagram community. 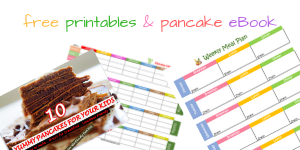 Click here and here to like and follow @mummysyum, where more recipe ideas and pictures are always shared. Have you subscribed to the Foodletter? Scroll down to get there.